Enriched T cell signatures are present in CF epithelium. 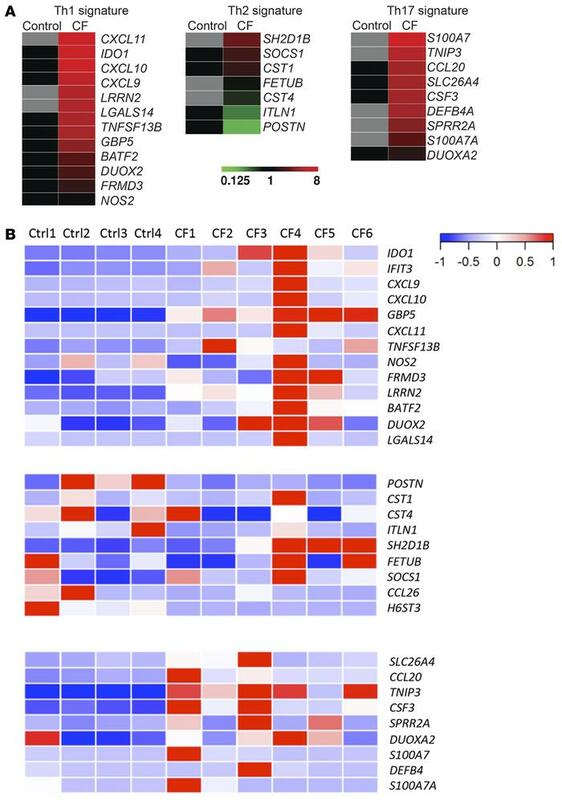 (A) RNA-seq heat maps of CF bronchial brushings vs. control bronchial brushings. Th1, Th2, and Th17 gene signatures determined by RNA-seq from RNA obtained from cytokine-stimulated NHBE cells are shown. (B) T cell signatures in bronchial brushings from individual control and CF patients. Donor demographics are summarized in Supplemental Tables 1 and 2.